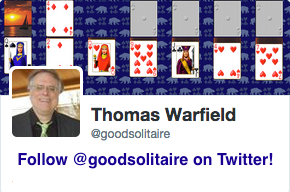 Goodsol Solitaire Blog: What is Shareware? Note: This was originally posted on the old site on June 4, 2003. Most of the people reading this blog right now are other shareware authors, because that's who I've told about it. But a few of my customers are trickling in from links on my sites, and this will only continue. It's possible that there will be people coming in here who don't know what shareware is. So I think it would be a good idea to define what shareware is, seeing as how that is what this site is about. With most shareware products, you can get at least email technical support from the developer. Often it's directly from the programmer himself, as in my case. Again, with most retail software, you can't get any kind of support anymore. What is less generally known are the benefits of using the shareware method to the developer of the software. A lot of people in the software industry think that the shareware method has been a failure. Some examples - Shareware Will Rise Again (as if it fell), Who Will Pay for Software. It's as if shareware doesn't exist to these people. But what is known inside the shareware industry, and especially to those of us in the shareware game arena, is how much more lucrative shareware is compared to the traditional retail method for the actual developer of the software. When someone buys a piece of software in a store, how much of the purchase price do you suppose goes to the programmer who wrote it? 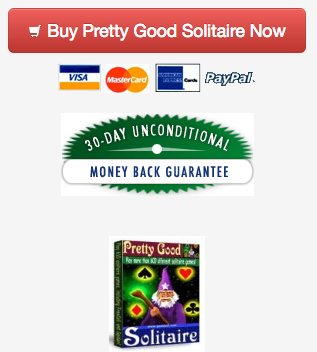 If he's lucky, a $20 software sale will make him $1, maybe with some change. More likely, it's under a dollar. With the tendency towards bundling in retail games these days, it can be literally pennies. When a shareware sale is made, the developer usually only pays a small processing fee for the credit card or order processing company. This fee usually ranges between 4-20%. On a $20 sale, the developer usually gets at least $16. That makes a huge difference. But the traditional belief is that because you can sell so many more copies at retail than you sell at shareware, the developer still makes a lot more money at retail. But I'm here to tell you that is just plain wrong. I have products that are sold both retail and shareware. Last fall, the retail version was one of the best selling retail card game products in the USA. Yet even with that huge success, the shareware version outsold it in actual revenue to the developer by more than 10 to 1. There's just no doubt about it, if a developer can learn any kind of marketing knowledge at all, he can make more money selling via shareware than going through a publisher and selling retail. The reason so few people do it is that so many programmers have a fear of marketing. They don't know anything about it and are scared to try going out on their own. But it's not that hard. Joining the Association of Shareware Professionals is a great first step. It just makes so much sense for both the customer and the developer that eventually it's bound to take over the software industry in one form or another.